One of the biggest problems that I see time and time again is that the presenter is determined to have the logo of his or her organisation slpashed across each and every slide in the presentation. Not only does this waste valuable slide real-estate and look ugly, it does nothing to enhance the message whatsoever. Time to get rid of that logo! The dangers of being seen as "slick"
Many presenters aim to be as "slick" as possible, but the funny thing is that a lot of the time this can actually be a bad thing. If you are seen as overly slick, you could also be seen to be hiding something behind this wall of slickness. You can never understate the value of persistent practice and learning, Michelangelo had it right!" I would like to thank Ed for sharing with us his best posts. I am sure all readers will find these posts informative and educative. 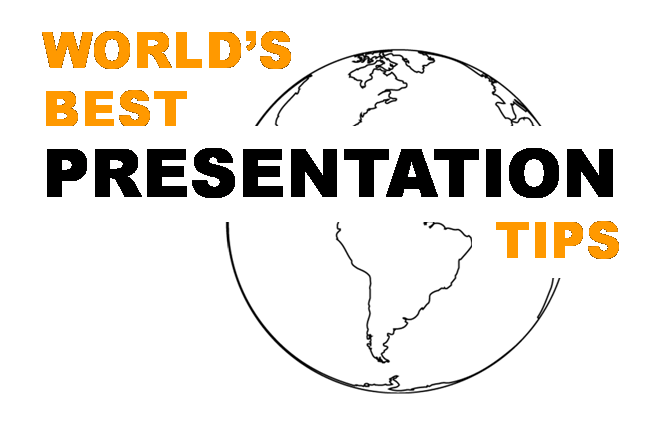 Write to me or leave a comment for feedback on this series 'World's Best Presentation Tips'.